Anxiety and depression disorders affect 2 to 6 percent of people worldwide, and finding a sensible and effective treatment for these conditions is imperative. Many traditional medications can become habit-forming and spur adverse side effects, leading many people to search for a natural alternative. CBD for anxiety and depression may reduce symptoms of these conditions without harmful consequences. Anxiety is your body's natural response to outside threat. While anxiety is a necessary response that allows you to avoid danger, it can become persistent and worsen over time, compromising your mental and physical health. Depression is a mood disorder that can be mild or severe, and depressive episodes usually last between two weeks and several months. Those with depression lose interest in hobbies and often experience trouble with work, sleep, and eating habits. Conflict, genetics, abuse, isolation, and the loss of a loved one may contribute to the development of depression. CBD, or Cannabidiol, is a natural compound present in Hemp and Marijuana plants. 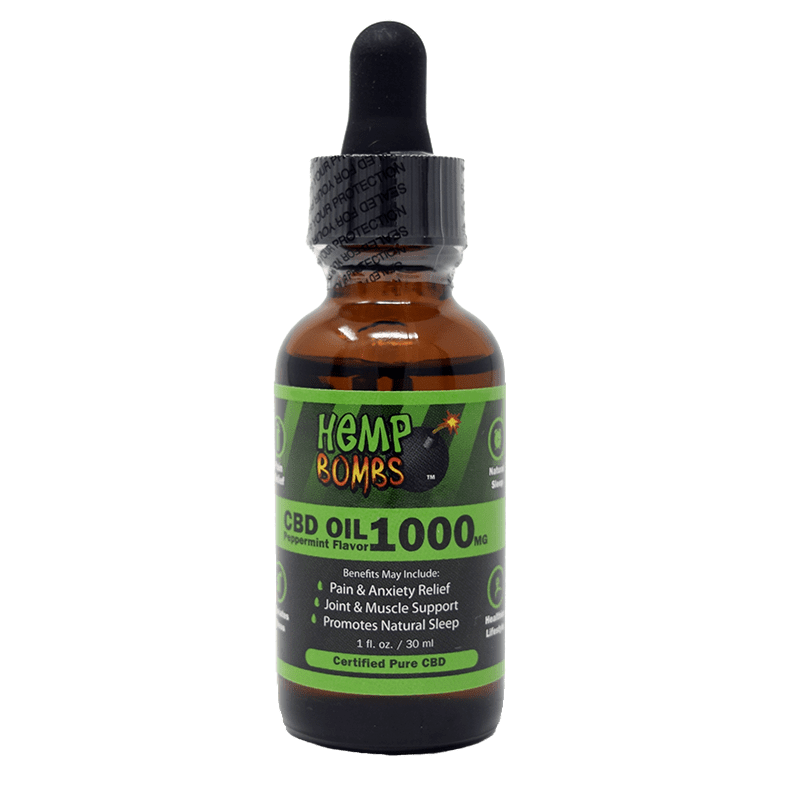 At Hemp Bombs, we extract our CBD from non-GMO, organic Industrial Hemp grown in the U.S. under environmentally friendly, sustainable conditions. Using a CO2 extraction method, we can separate 99 percent pure CBD isolate from the other cannabinoids, or chemical compounds, present in Hemp plants, like THC. All our CBD is third-party tested for accountability, and we publish the results for transparency. CBD for anxiety and depression is effective because of its interaction with the endocannabinoid system, or ECS. The ECS is made of receptors and cannabinoids, or chemical compounds, that help regulate mood, appetite, and the sleep cycle in all mammals. The system also responds to plant-derived cannabinoids like CBD and THC. CBD does not bind directly to the receptors, instead it influences other compounds to react and restore bodily balance. CBD can influence any of the regulatory processes controlled by the ECS like skin cell production, sebaceous gland secretions and immune system function. Research studying CBD for anxiety and depression showed a possible long-term improvement in the acute symptoms of these conditions. 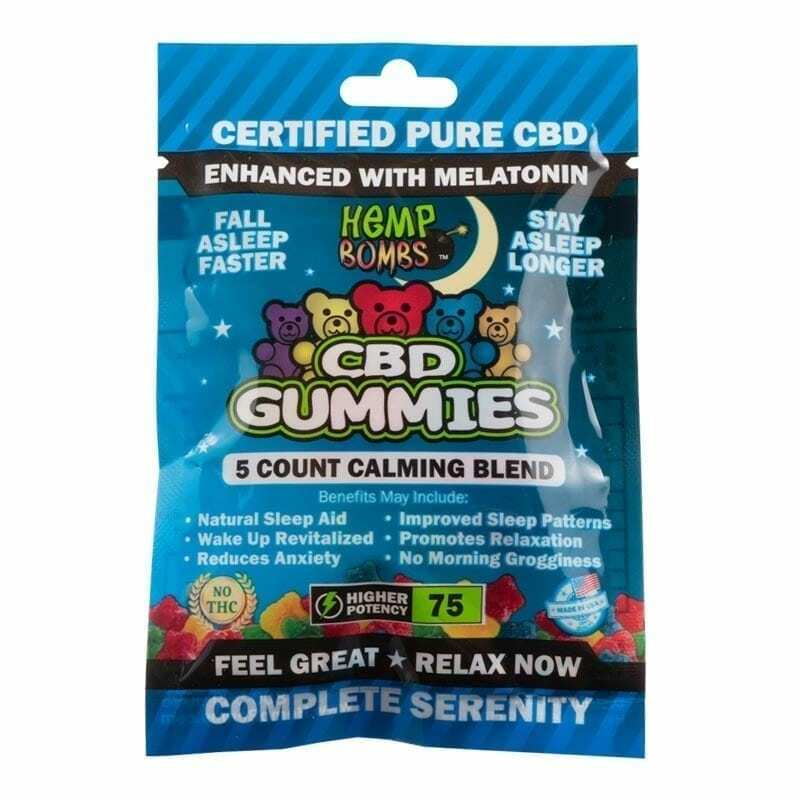 CBD can potentially reduce anxiety, aid in hippocampal neurogenesis, boost mood and improve sleep quality. For example, a 2011 study found CBD to have anxiolytic-like effects (anti-anxiety effects) in rats during anxiety tests. Because all mammals have an ECS, the results from animal studies may give us true insight on how CBD may affect change in our bodies and promote wellness. CBD for anxiety and depression may stimulate the endocannabinoid system in a way that promotes neurogenesis of the hippocampus. Studies show that the structure and volume of the hippocampus may be decreased in patients with anxiety and depression; however, consistent CBD use may help regenerate hippocampal neurons and enlarge the hippocampus, relieving some of the cognitive symptoms of depression related to memory, focus, and negative thoughts. 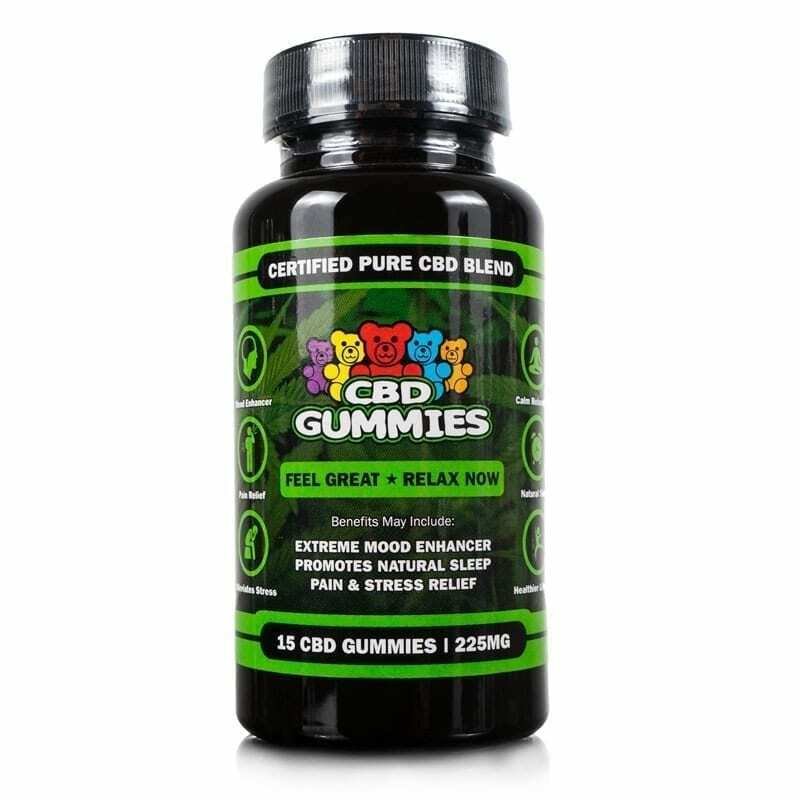 CBD – in conjunction with the ECS – may act as a natural mood enhancer. When you take CBD for anxiety and depression, the natural compound binds with FAAH (fatty acid amide hydrolase) to inhibit the breakdown of the natural cannabinoid, anandamide, a “bliss” molecule. The resulting accumulation of anandamide in the nerve synapses boosts mood and promotes euphoria, potentially helping those experiencing a depressive episode. 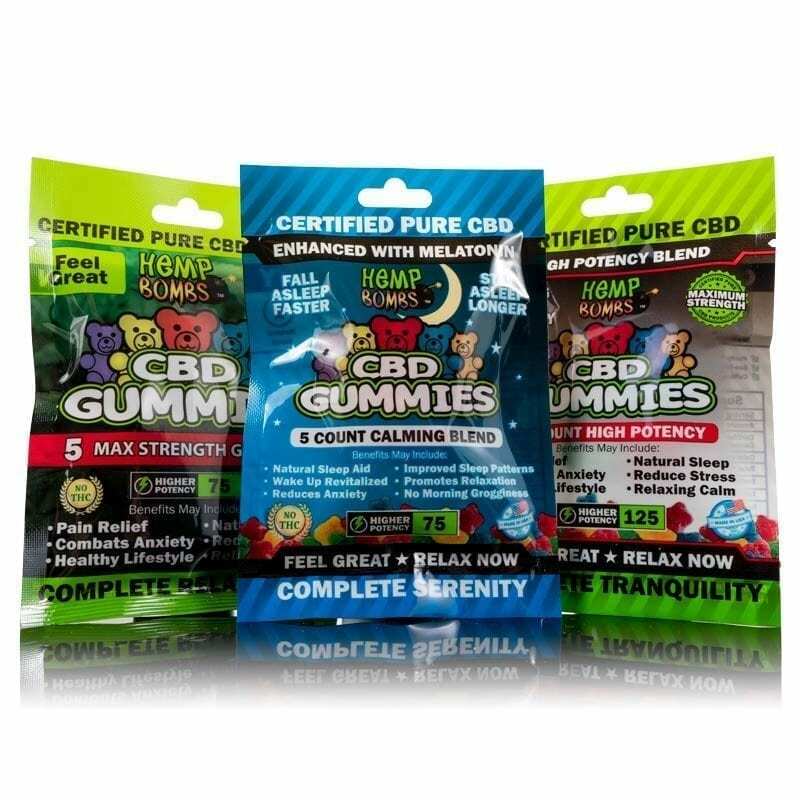 Considering CBD for anxiety and depression but not sure where to start? 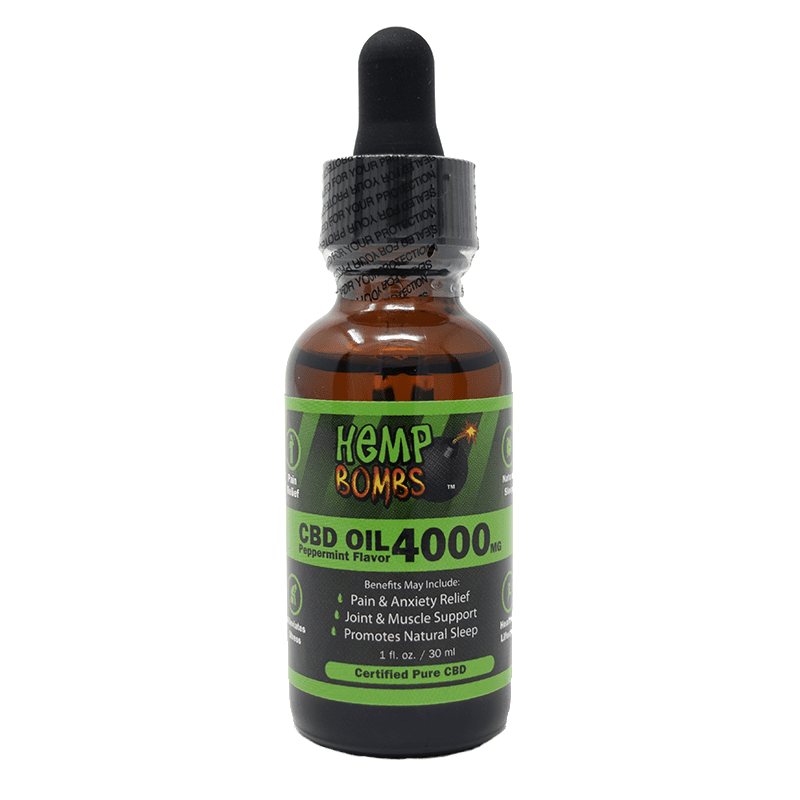 Hemp Bombs has a wide selection of CBD products in various potencies and flavors to fit your needs. Here are a few products that may help relieve your symptoms. CBD Oil – Hemp Bombs CBD Oil, also known as CBD Tincture, consists of CBD isolate, MCT Oil, and Grape Seed Oil. Taken sublingually, or under the tongue, this product is readily absorbed by the tissues to produce quick, long-lasting results. 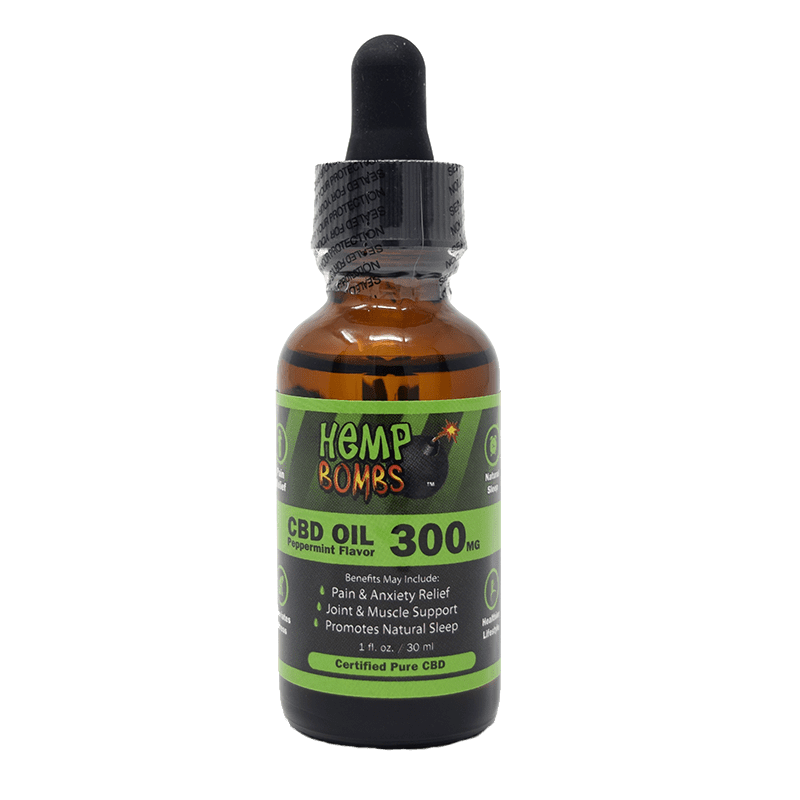 For 300mg CBD Oil, place ½ a dropper of product under the tongue and hold for 1 minute to see maximum results. This product is also available in High Potency option for more severe or ongoing symptoms. CBD E-Liquid – Vaping CBD provides almost immediate results, making this product excellent for panic attacks or sudden onset anxiety. Our CBD E-Liquid is comprised of CBD isolate and a 70/30 split of Vegetable Glycerin and Propylene Glycol for maximum cloud production; available in a range of potencies and more than 12 delicious flavors for your enjoyment. 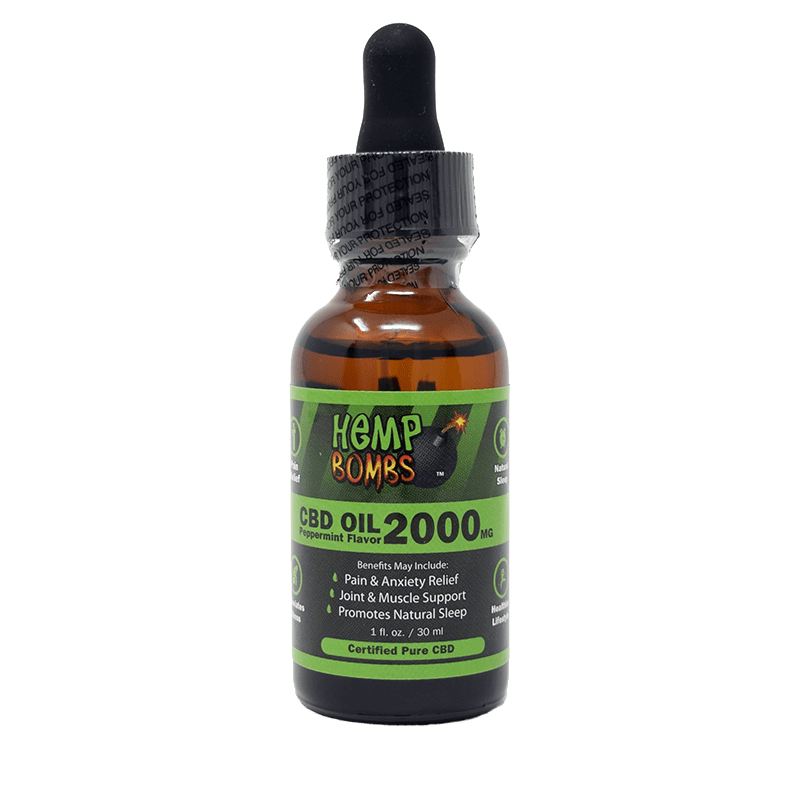 Hemp Bombs CBD Vape Juice is free of nicotine and other harmful additives, meaning it is non-addictive and less damaging to your body. Feel your symptoms start to ease with each cloud. 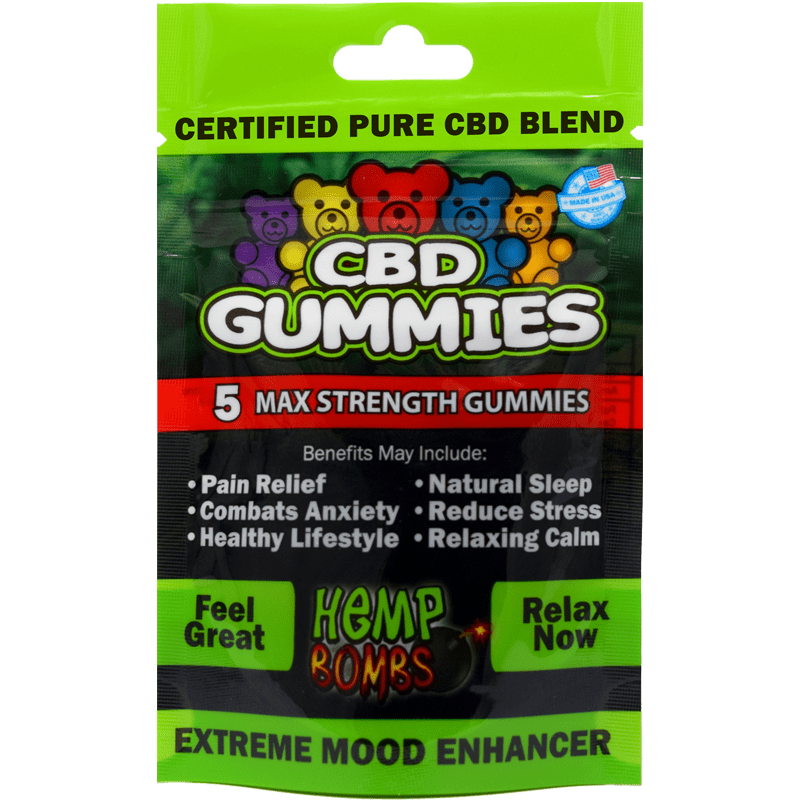 CBD Gummies – These delicious gummy bears provide 15 milligrams of pure CBD isolate each along with a list of health benefits. 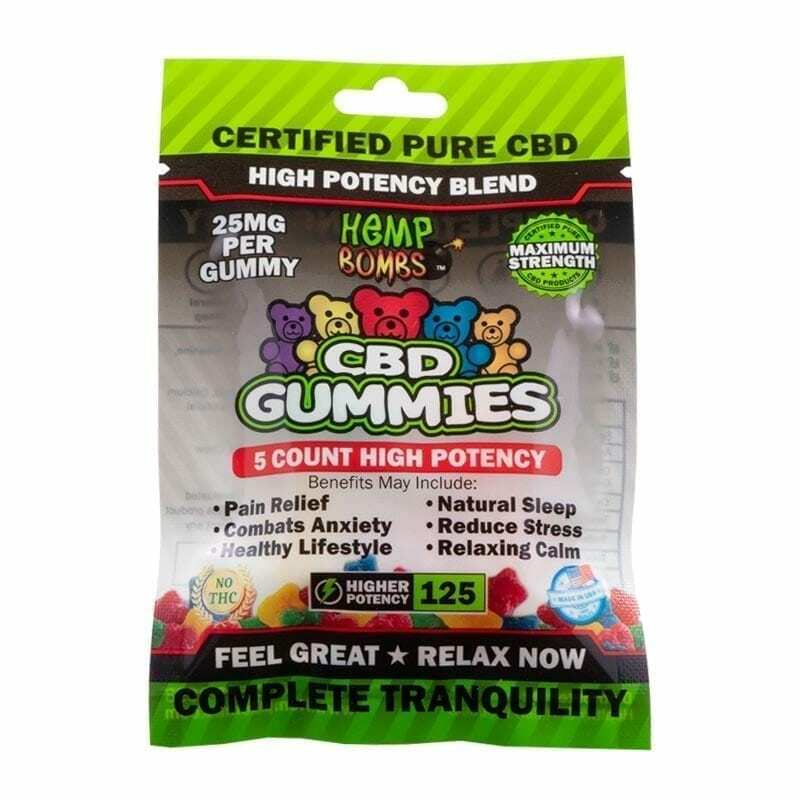 Take one to two of these gummies daily to experience an enhanced mood, improved sleep, and decreased stress and anxiety. Research for this natural compound as a treatment for the symptoms of anxiety and depression are ongoing. If you suffer from anxiety or depression, then you know how debilitating these conditions can be. You should be able to feel better without the adverse side effects linked to traditional medications. CBD for anxiety and depression may provide a natural alternative to help you get back to yourself mentally and physically. Read more about the right product for you based on your zodiac sign.